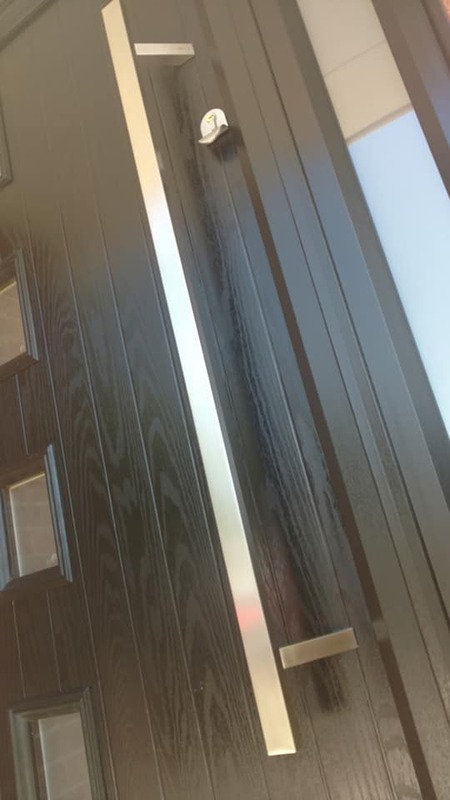 The Bespoke Door Installations team have been out on the road serving homeowners again this week, with one of our latest jobs being this slick, black composite door fitted in Nottingham. As is the case with all of the doors that we provide, this one was a completely custom design created by the homeowner using our awesome online door designer tool. 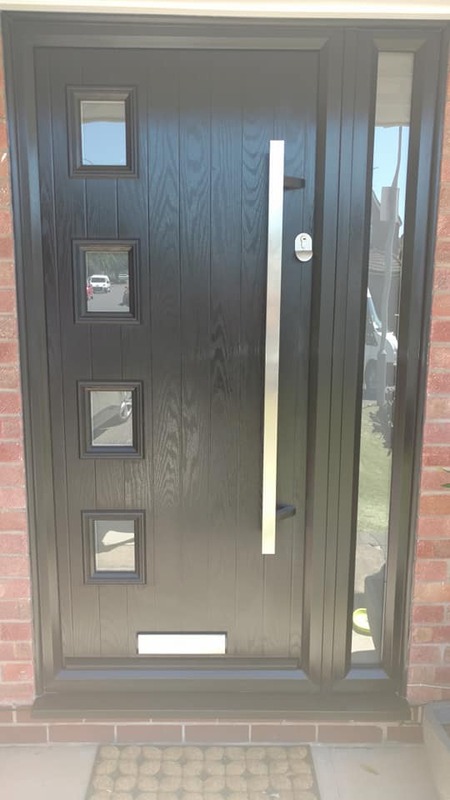 The thousands of options available on our door designer allowed the homeowner to create this stunning black composite door. Along with selecting the colour, the homeowner was also able to choose the 4 windows on the left-hand side of the door, and the long bar handle. This incredibly stylish door was finished off was topped off with a shiny silver letterbox and a secure Yale lock. Along with that, the homeowner also received all of the fantastic benefits that come with every composite door. This includes increased durability, great style, enhanced security, and even extra energy efficiency keeping draughts out and heat in much better than a standard UPVC or wooden door. 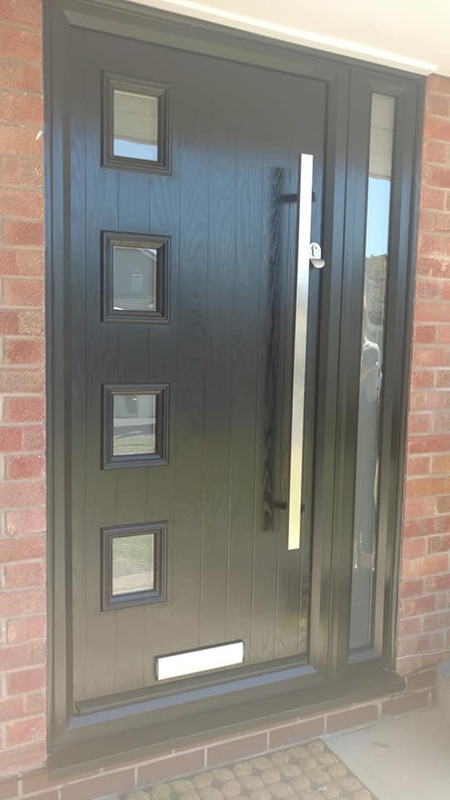 See below for some photos of the fantastic black composite door fitted in Nottingham by our team.